We kindle and char and enflame and ignite. Yo ho, you ho, a pirate’s life for me. Strands of golden chains, stacks of platinum coins, bejeweled crowns, enameled scepters, bolts of silk cloth, and powerful magic items all wait to be seized or unearthed by intrepid, treasure-seeking adventurers. Magic items are gleaned from the hoards of conquered monsters or discovered in long‑lost vaults. Such items grant capabilities a character could rarely have otherwise, or they complement their owner’s capabilities in wondrous ways. ADAMANTINE ARMOR: Armor, Uncommon This suit of armor is reinforced with adamantine, one of the hardest substances in existence. While you’re wearing it, any critical hit from a weapon against you becomes a normal hit. Spells will still score critical hits. 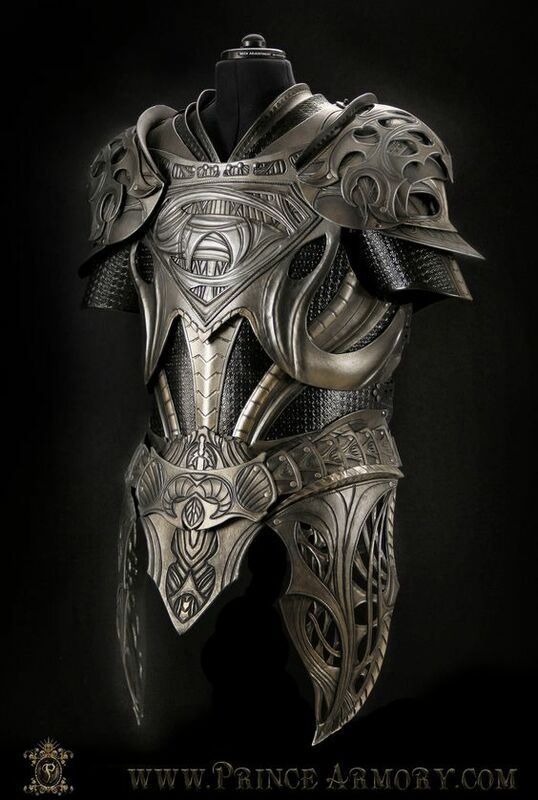 SHOULDER PLATE OF SHIELDING: Armor: Wondrous Item, Uncommon (requires attunement) This metal shoulder plate is decorated with the likeness of a skull. It may be added to any medium or heavy armor. While wearing this device, you have resistance to force damage and the magic missile spell. Dueling Gloves: Armor, Rare. These gloves are masterwork quality. They are leather with a reinforced framework of mithral. While wearing these gloves, your weapon gains the Vicious Weapon property. (When you roll a 20 on your attack roll with this magic weapon, your critical hit deals an extra 2d6 damage of the weapon’s type.) Also, if you are wielding a finesse weapon with which you are proficient and another creature hits you with a melee attack, you can use your reaction to add your proficiency bonus to your AC for that attack, potentially causing the attack to miss you. PATCHWORK SHIELD: Armor, Rare. 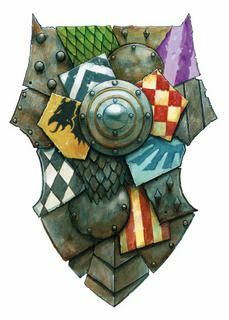 This shield is made from pieces of several different shields, depicting small parts of various armies and companies throughout the Forgotten Realms. This may have been a collection of trophies taken by its previous owner. While wielding this shield, While holding this shield, you have resistance to damage from spells that require a Ranged Attack roll. Also, the shield has a strange “curse.” Whenever a ranged weapon attack is made against a target within 5 feet of you, the curse causes you to become the target instead. However, this allows you to take a Reaction to attempt to block a single incoming Ranged Weapon attack. When a ranged weapon attack hits you while you’re wielding this device, you can use your Reaction to reduce the damage by 1d10 + your Dexterity modifier. If you reduce the damage to 0, the missile falls harmlessly to the ground in front of you. VORST, THE ICE AXE: Weapon (Handaxe), Rare (requires attunement) This handaxe is made of a jet black metal that is cool to the touch. Blue energy crackles up and down the weapon while in use. You can use a Bonus Action to speak this magic sword’s command word, causing Blue Energy to erupt from the blade. This energy sheds bright light in a 40‑foot radius and dim light for an additional 40 feet. While the sword is ablaze, it deals an extra 2d6 cold damage to any target it hits. The energy last until you use a Bonus Action to speak the command word again or until you drop or sheath the weapon. DAGGER OF VENOM: Weapon (dagger), rare. You gain a +1 bonus to Attack and Damage rolls made with this magic weapon. You can use an action to cause thick, black poison to coat the blade. The poison remains for 1 minute or until an attack using this weapon hits a creature. That creature must succeed on a DC 15 Constitution saving throw or take 2d10 poison damage and become poisoned for 1 minute. The dagger can’t be used this way again until the next dawn. 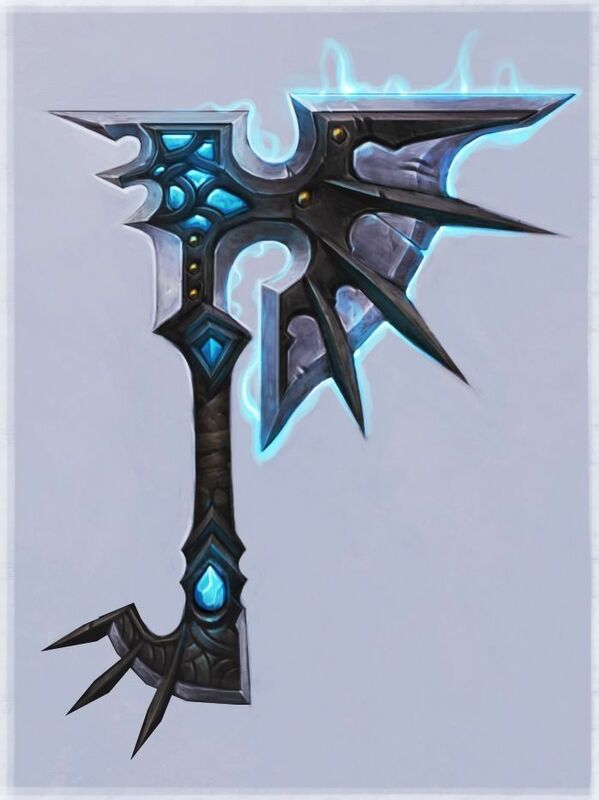 HAMMER OF REBOUNDING: Weapon (Light Hammer), Rare. While using this magic weapon you gain a +1 bonus to Ranged Attack and Damage rolls. When you successfully hit a creature with a Ranged Attack, you may choose a second target within 10 feet of the original creature and make a second attack against this new target. 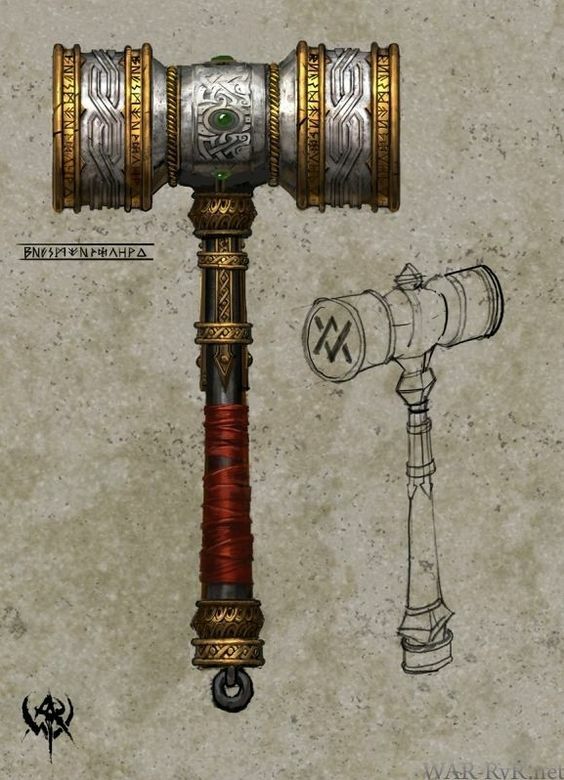 Afterwards, the hammer rebounds and flies through the air to return to your hand. 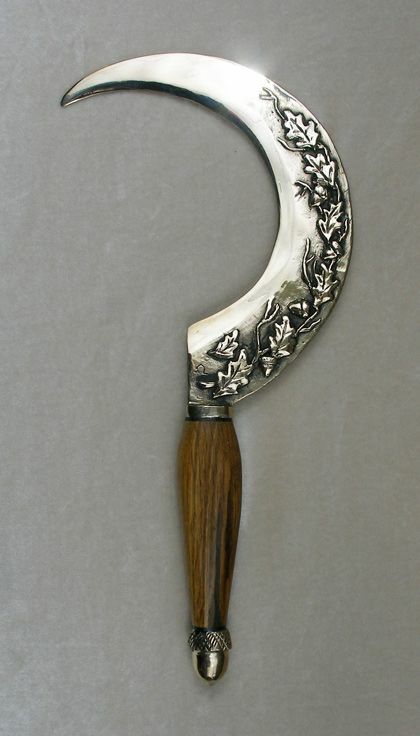 FEY SICKLE: Weapon (Sickle), Rare. This weapon was crafted within the Feywild. While using it you have a +2 bonus to Attack and Damage rolls. The staff has 10 charges for the following properties with a spell DC of 12: animal friendship (1 charge), awaken (5 charges), barkskin (2 charges), locate animals or plants (2 charges), speak with animals (1 charge), speak with plants (3 charges), or wall of thorns (6 charges). Using one of the abilities requires the use of a full Use Item action. The weapon can be recharged by a Divine spellcaster who can cast a spell of 1st through 3rd level into the weapon by touching it as the spell is cast. The spell has no effect, other than to add additional charges (max 10) to the sickle.. The level of the slot used to cast the spell determines how many charges are regained (5th level spell = 5 charges.) If the final charge is used, the sickle vanishes, returning to the Feywild. Antitoxin. (1d4 vials) A creature that drinks this vial of liquid gains advantage on saving throws against poison for 1 hour. It confers no benefit to undead or constructs. Alchemist’s Fire. This sticky, adhesive fluid ignites when exposed to air. As an action, you can throw this flask up to 20 feet, shattering it on impact. Make a ranged attack against a creature or object, treating the alchemist’s fire as an improvised weapon. On a hit, the target takes 1d4 fire damage at the start of each of its turns. A creature can end this damage by using its action to make a DC 10 Dexterity check to extinguish the flames. Tenderfoot Bag: A bag of caltrops. A caltrop is a four-pronged iron spike crafted so that one prong faces up no matter how the caltrop comes to rest. You scatter caltrops on the ground in the hope that your enemies step on them or are at least forced to slow down to avoid them. One 2-pound bag of caltrops covers an area 5 feet square. Caltrops deal 1d4 damage and the creature’s speed is reduced by one-half because its foot is wounded. Holy Water: Holy water damages undead and fiends almost as if it were acid. A flask of holy water can be thrown with a Ranged Attack. A flask breaks if thrown against the body of a corporeal creature. A direct hit by a flask of holy water deals 2d4 points to fiends and undead. Sunrod: This 1-foot-long, gold-tipped, iron rod glows brightly when struck. It clearly illuminates a 30-foot radius and provides shadowy illumination in a 60-foot radius. It glows for 6 hours, after which the gold tip is burned out and worthless. Black Pixie Hat: Wonderous Item, Rare (Requires Attundement) This black cloth hat stores spells cast into it, holding them until you use them. The hat can store up to 3 levels worth of spells at a time. When found, it contains 1d4 levels of stored spells chosen by the DM. Any creature can cast a spell of 1st through 3rd level into the hat by touching it as the spell is cast. The spell has no effect, other than to be stored in the hat. If the hat can’t hold the spell, the spell is expended without effect. The level of the slot used to cast the spell determines how much space it uses. 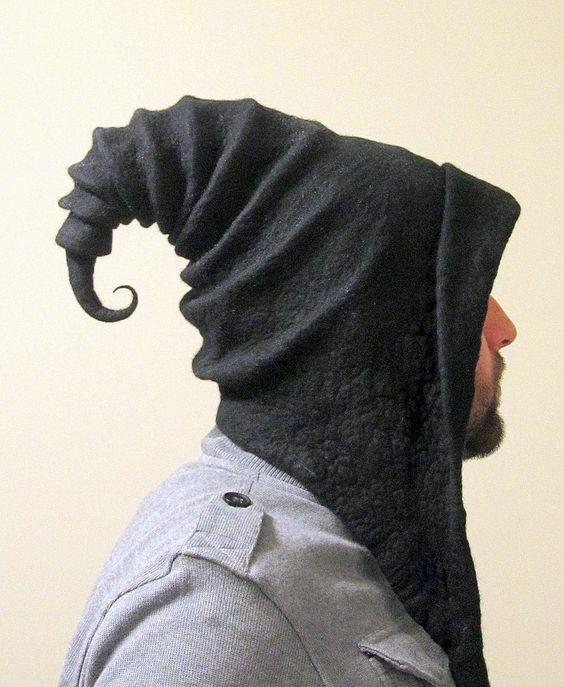 While this hat is worn on your head, you can cast any spell stored in it as if you had the spellcaster ability. The spell uses the slot level, spell save DC, spell attack bonus, and spellcasting ability of the original caster, but is otherwise treated as if you cast the spell. The spell cast from the hat is no longer stored in it, freeing up space. To use this device, you must choose the Cast A Spell action. 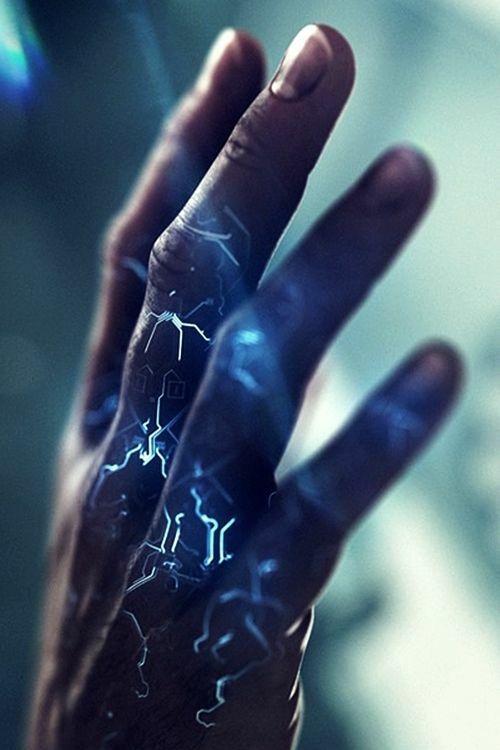 Glove of Sparking: Wondrous item, Uncommon (requires attunement) When worn, this glove melds with the skin and gives off a sparkling electric glow from wrist to fingertips. This wand has 7 charges. While holding it, you can use an action to expend 1 or more of its charges to cast the Shocking Grasp spell (save DC 15) from it. For 1 charge, you cast the 5th-level version of the spell doing 2d8 damage. When the 7th charge is used, the glove with disappear in a puff of white smoke. 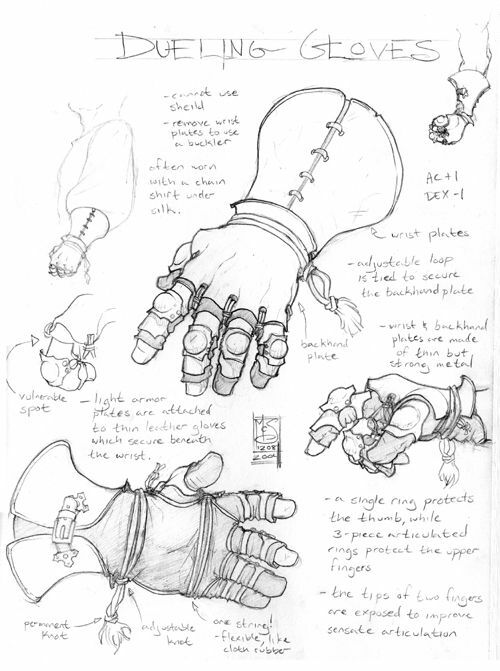 The glove can be recharged by an Arcane spellcaster who casts a spell of 1st to 5th level into the glove, giving it 1 charge per spell level up to a maximum of 7. The spell is placed into the glove by touching it as the spell is cast. The spell has no effect, other than to recharge the item. To use this device, you must choose the Cast A Spell action. KOPPEN: Weapon (Shortsword), rare (requires attunement). 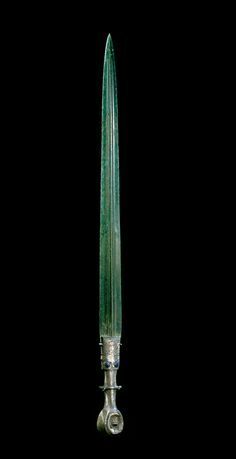 A magical shortsword with a wide blade and narrow grip. It is adorned with a bluish-purple gemstone. A fine weave of blood red silk wraps the grip. This magic weapon has 3 charges. While holding it, you can use an action and expend 1 charge to release a wave of paralyzing fear. Each creature of your choice in a 5-foot radius extending from you must succeed on a DC 12 Wisdom saving throw or become frightened of you for 1d6 rounds. When a creature is affected in this way, it suffers the effects of the Paralyzed condition. NEEDLE RING: Wondrous item, Uncommon. At first glance, a needle ring appears much like an ordinary ring with a large jewel in its setting. But a closer examination shows that the ring opens like a door, revealing a tiny hidden compartment containing a small spring-loaded needle that can deliver a poison or potion using a Bonus Action. Any potion or poison can be “loaded” into the ring for delivery through the needle. If the target is willing (in the case of a healing potion, for example) no attack roll is needed. However, an unwilling target must be hit with an melee Attack roll with Advantage. BELA: Paper money from Kara-Tur. 1d10 bills worth 10 gold each. BLOOD NOTES: IOU in the form of scroll. Worth 100 gold. TRADE BAR: A thin silver bar worth 50 gold. TOAL: A square brass coin with a hole in the middle used in Waterdeep. Pouch contains 2d6 worth 2 gold each. HARBOR MOON: A crescent-shaped coin worth 50 gold. STEELPENSE: A coin from Sembia used to replace copper coins. 2d8 coins worth 1 copper each. TRADE LETTER: A document of ownership for goods in Calimport. Reclaiming the goods at the warehouse yields 100 gold. THARSUIT STATUE: Small item used for trade in the South. Made of ivory. Worth 15 gold. 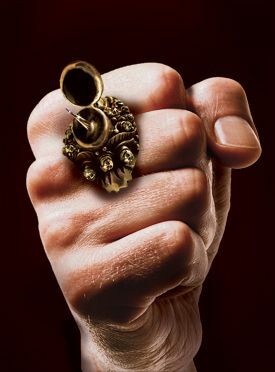 SHAR RING: A small ivory ring used by Shar traders worth 3 gold each. Bundle contains 2d6 rings. GOND BELL: A small brass bell used for trade within Gond temples. Worth 20 gold. MERCENARY CARD: Small playing card used to pay Northern mercenaries. Each card is worth 15 gp. Stack contains 2d6 cards. ROLL TWICE ON THIS CHART! A six-sided dice stamped with golden pips worth 10 gold. A single gold tooth worth 2 gold. A fingerpick for a guitar made of a polished shell worth 15 gold. A polished whistle made of red-tinted metal worth 12 gold. A pouch full of 36 brass coins stamped with Waterdeep symbol worth 12 gold. A piece of carved ebony worth 23 gold. A gold-plated corkscrew worth 125 gold. A silver cloak pin shaped like a skull with small rubies for eyes worth 400 gold. A monocle with polished glass lense worth 30 gold. A small gaming piece shaped like a Halfling made of ivory worth 50 gold.